Colliers International has announced the successful completion of its advisory role in helping Chassix, a global automotive supplier of precision casting and machining solutions, to establish a greenfield plant in the metropolis of the Moravian-Silesian region of the Czech Republic. Colliers, as the chosen advisor and consultant from the beginning of the process, facilitated the finding of the location, investment and realization of the long-term lease for the 14,700-square-metre production facility in the Ostrava Business Park, which will be the first expansion of the US-based company’s manufacturing footprint into Central and Eastern Europe. As the new Chassix facility in the CEE, it will also serve as a foundry, optimizing the logistics and production processes. 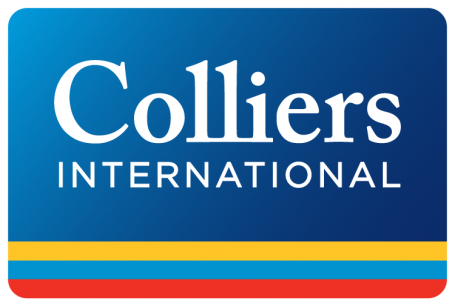 “The role of Colliers from the initial property search through the full range of services to negotiating the Heads of Terms, shows our commitment to and ability in finding the best possible solutions at the best commercial terms for our clients,” said Lukáš Svobodník, Senior Associate at Colliers. “I am certain the superb location of this new facility near many international OEMs and with a regional incentive program will support the company’s future growth in Europe’s lightweighting automotive market,” added Petr Zaoral, Director and Head of the Industrial Agency team at Colliers. The new Chassix facility, which will cast aluminium chassis and powertrain components for passenger cars using the highest rated machinery and equipment, is expected to be operational in early 2018 and accounts for an investment of about EUR 47m. “Working in close cooperation with our strategic partners Colliers, Contera and the City of Ostrava, we anticipate flawless completion of the foundry and expect to attract a talented, innovative and collaborative workforce,” said Sergi Barbero, Vice President, Managing Director, Europe at Chassix. “Contera will secure the construction of the production facility for Chassix as a part of the Ostrava Business Park project. More than 30,000 square metres of production and warehouse facilities will be finished in this industrial park this year. It will then total approx. 62,000 square metres. A list of other clients of the park includes companies like IKEA, Schenker or Adler Czech. The total investment into the Ostrava Business Park project will reach over CZK 1bn and together with follow-up investments it will reach approx. CZK 2.5bn. A major role was played by the Urban Development Fund, investing around CZK 250m at the beginning of this brownfield project and enabling the inflow of further commercial investments,” said Dušan Kastl, Partner at Contera. The investment will create gradually up to 350 jobs. Chassix and the VŠB-Technical University of Ostrava will be closely cooperating regarding graduate recruitment and Colliers will continue in its support role. This will form a very modern approach to recruitment, which will, among other aspects, provide for internships at Chassix’s other production facilities in the US and China. “In Ostrava, we welcome new businesses that will offer jobs with high added value. I am delighted that Chassix will work closely with university students and offer them an opportunity to apply their skills in a field with great potential. I am confident that employees from Ostrava will represent a real benefit to the company, meeting even the most demanding requirements – because in this city, technical know-how, skill and hard work are passed down from generation to generation,” said Tomáš Macura, Mayor of Ostrava.